For many people, memories of childhood holidays are some of the most vivid and enjoyable memories of their lives. So what makes them so special? To be honest, if I had one definitive answer, I would have bottled it and be selling it now on the interwebs. There is no one specific answer. Every kid and every family is different, but I do believe that asking these kinds of questions and looking back at our own experiences, or those of others, can definitely help us create more enjoyable and authentic experiences for our guests as holiday providers today. 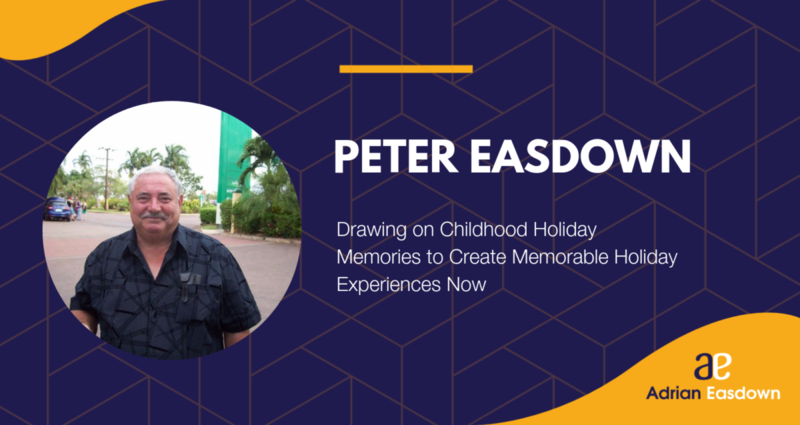 I took this journey down memory lane myself recently on the That Bad Review podcast, where I interviewed my father, Peter Easdown. Perhaps a bit self-indulgent, sure, but a useful exercise for taking me back in time to discover just what made my own childhood holiday memories so impactful. It’s an exercise you might find useful yourself. So how can we use these reflections to create more memorable holiday experiences for our guests now? For me, the essence of these experiences came down to a handful of essential concepts: simplicity, family and togetherness, wonder and stories, and revisiting and reliving. I think simplicity is an important one. Given the complexities of our modern lives, always-on jobs, the Internet and what have you, it’s no surprise that people are searching out simple, tech-free pleasures, particularly on holiday. The good news for us in the accommodation business is that kind of by definition, simple pleasures don’t mean expensive. We don’t need to recreate Disneyworld to create a memorable experience for our guests. For many kids and adults alike, sitting on jetty by a lake and chucking a line in can produce the same positive effects an expensive theme park. So think about what simple pleasures your facility offers and how you can get the most out of that. I’ve found that caravan parks and camping often play a big part in these fond childhood memories. To me, it’s because of the experience of caravanning and camping that brings families together in a unique and particularly close way. It’s a theme that might be worth promoting in your business. The thing that makes these memories of childhood holidays so vivid often comes back to wonder and story. Places, activities and events that might seem fairly mundane and small to us now, seemed big and exciting. And it’s these that often ended up being the stories of our childhood. It’s the stories about the big one that got away, the time little Jimmy almost slipped off a mountainside, or the time mum nearly burned down the caravan that sticks with us. From my memories, it’s the revisiting and reliving of experiences that kept these memories alive for me. In our family’s case, it was the annual trip to Bermagui and the memories of it that will live with me forever. Year after year we would visit the same area and often the same holiday park, it became a constant and a highlight of our year. We knew we’d have a great time, and that brought us back time and time again. By being conscious of the holiday experience you’re providing and the memories you’re creating is not only great for your guests but increases your chance of attracting those year-after-year guests that form the core of a successful accommodation business. You can hear the entire conversation with my dad, Peter Easdown, here.